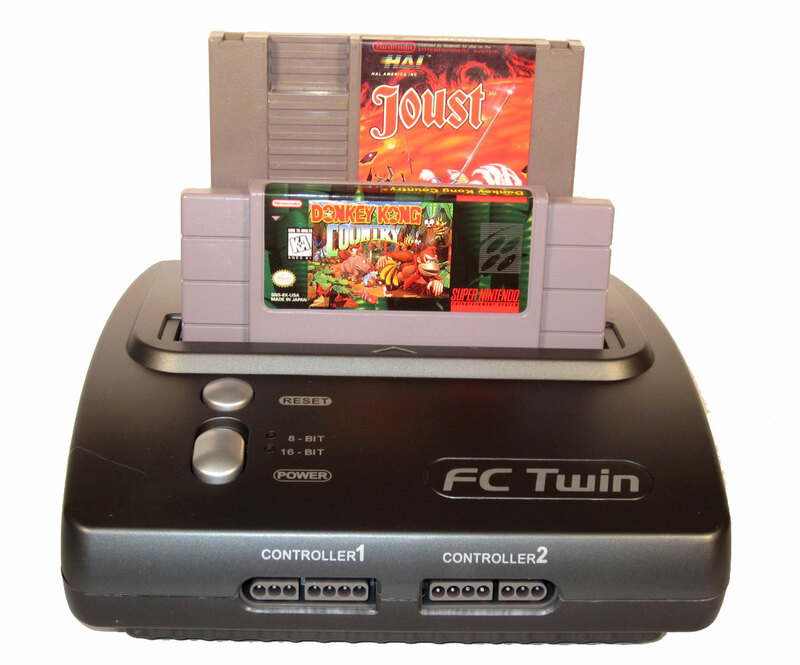 The FC Twin is a Nintendo clone console capable of playing NES and SNES games. GameBoy games are compatible via the Super GameBoy Adapter. 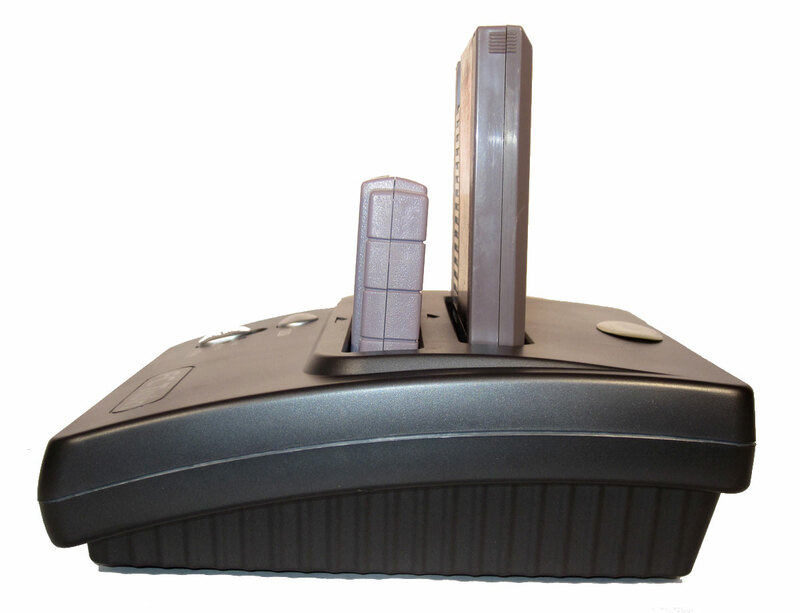 It uses SNES compatible controllers and works with other SNES accessories, but it will not work with the NES form-factor controllers or accessories. 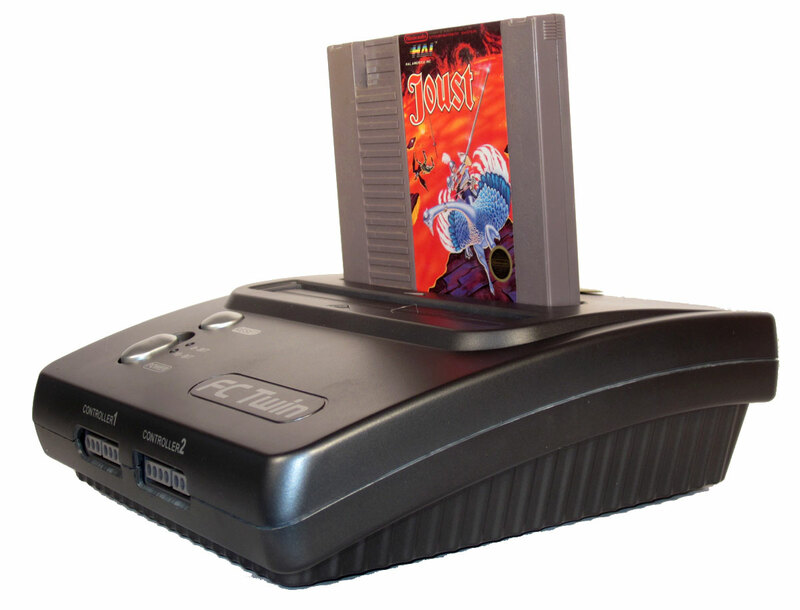 As with many clones, there are incompatibilities with some NES and SNES games. 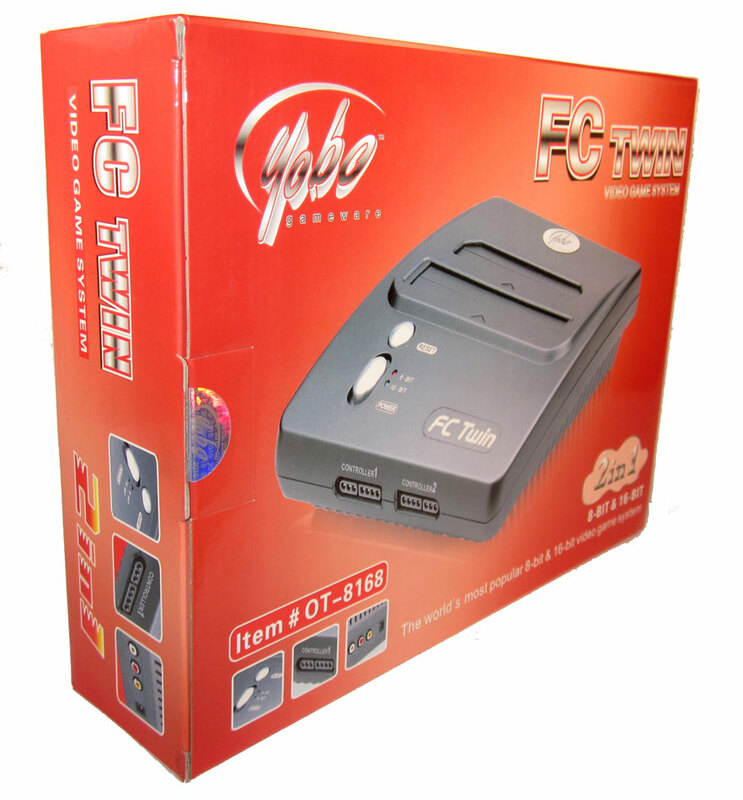 The images of the FC Twin are categorized and show the console, joystick controllers and accessories. You will also find detailed close-ups of the ports and connections available on the Retro. 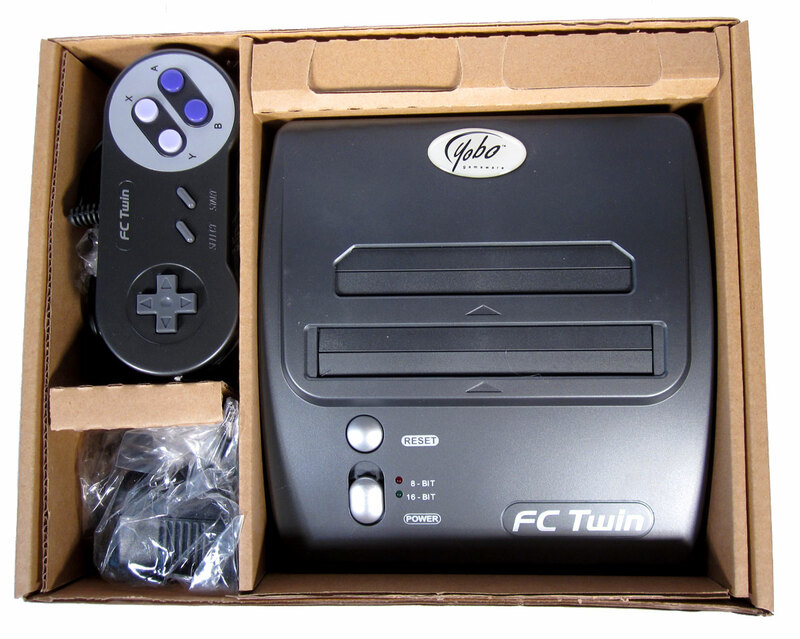 Front of the FC Twin box. Front left side of the FC Twin box. Front right side of the FC Twin box. Back of the FC Twin box. Side of the FC Twin box. 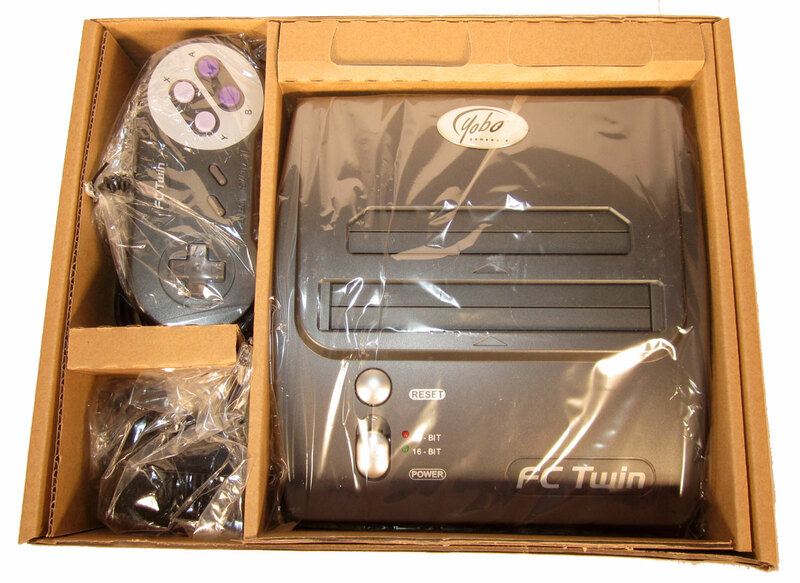 Inside packaging of the FC Twin. 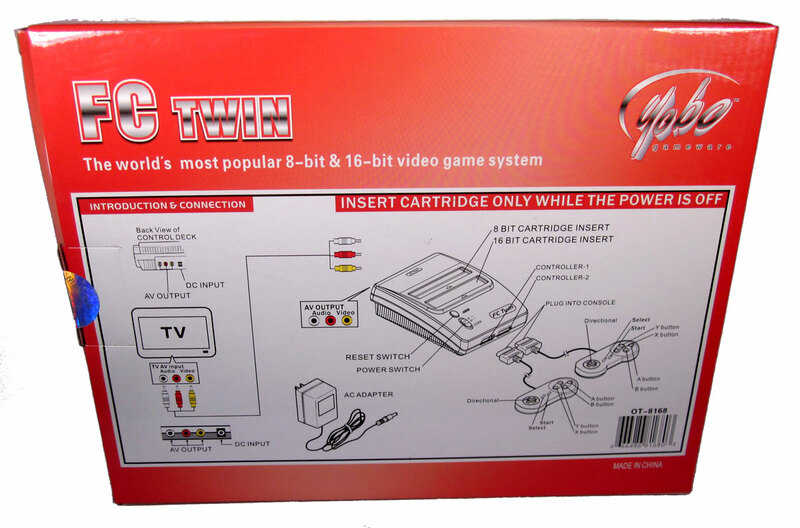 The front of the FC Twin game console showing the reset switch, power and 8/16 Bit selection switch. The 2 controller ports are below. The left side of the FC Twin game console giving a better view of the 2 cartridge slots. GameBoy games can be played with a Super GameBoy Adapter in the 16-bit cartridge slot. 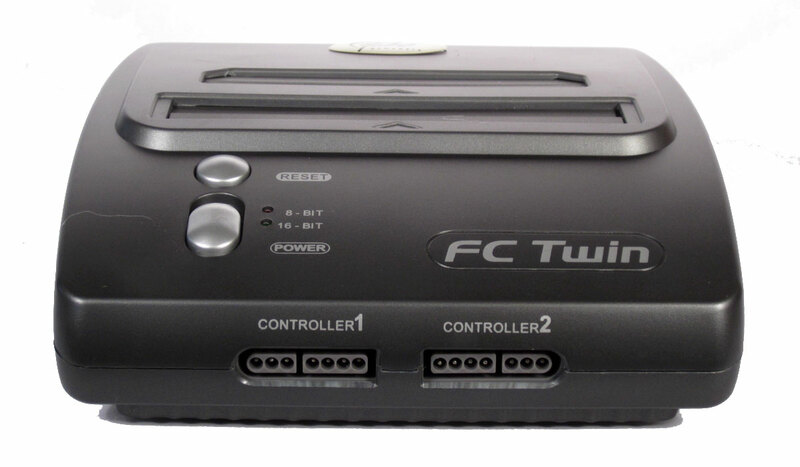 The right side of the FC Twin game console. 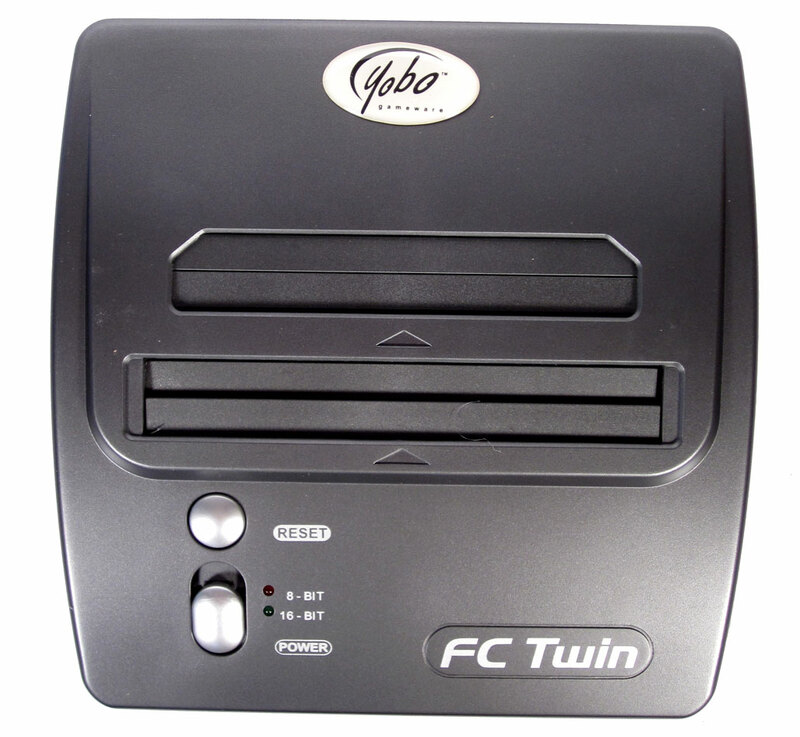 The FC Twin does not always produce sounds as heard on original equipment. The top of the FC Twin game console, from above, showing the 8 and 16 bit cart slots. 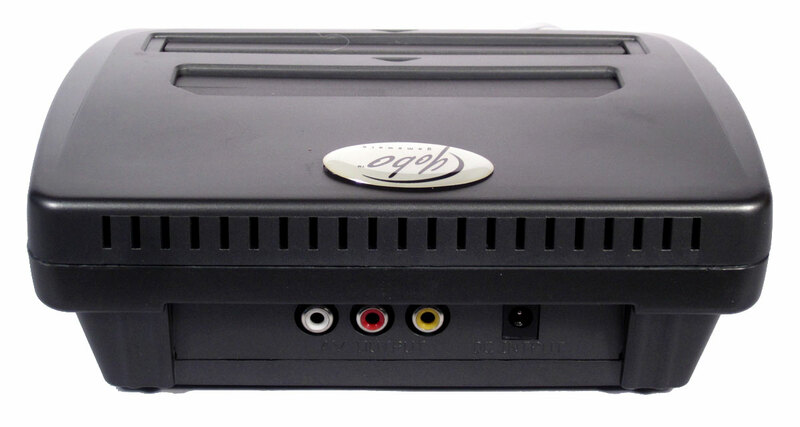 The rear of the FC Twin game console showing the RCA audio/video output ports and the power port. 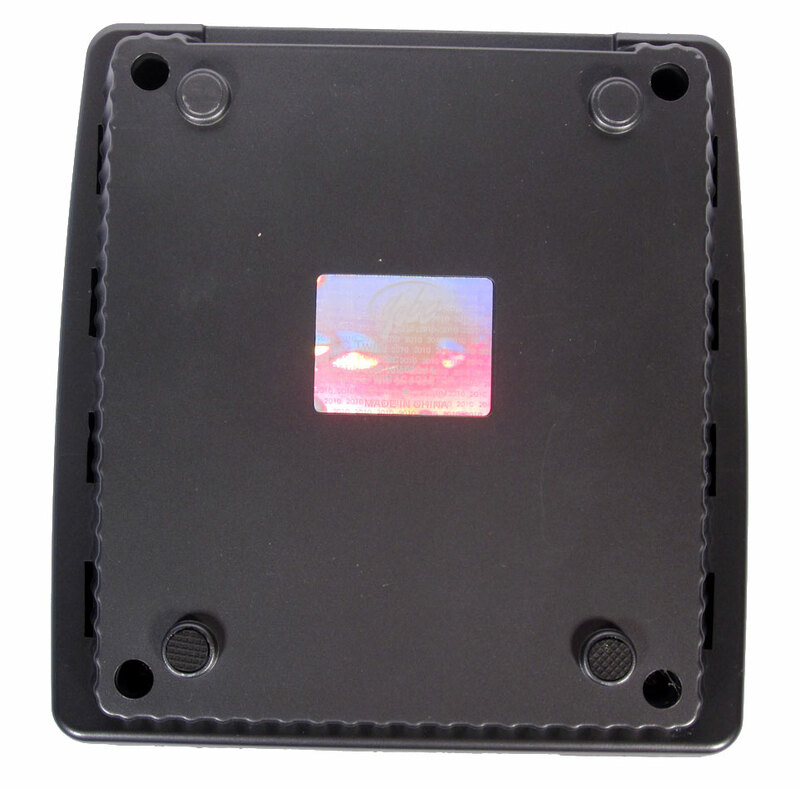 The bottom of the FC Twin game console. 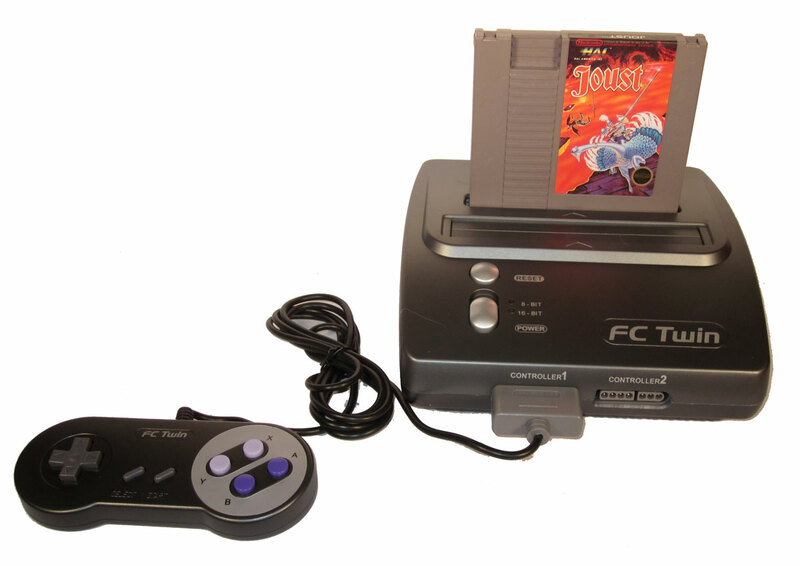 The FC Twin game console with an NES game cartridge inserted and controller. 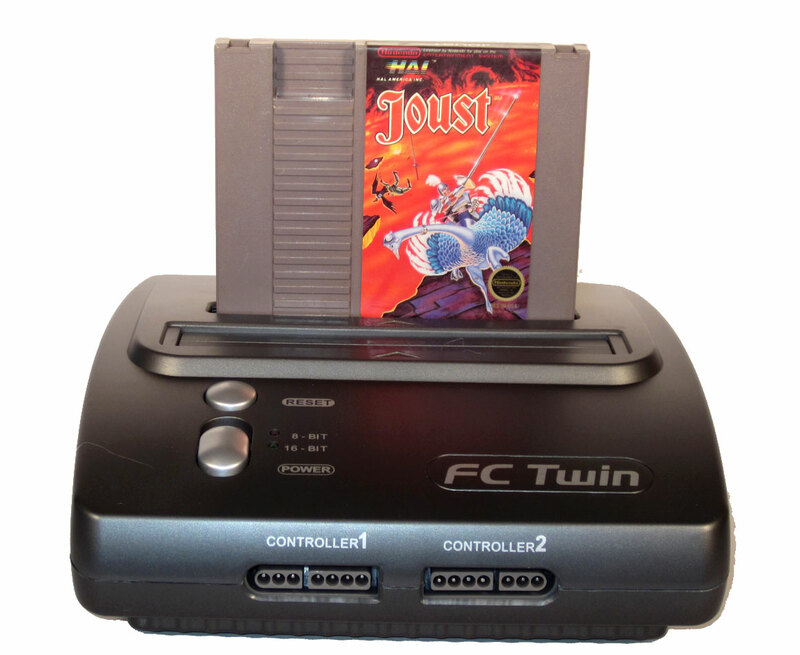 The FC Twin game console with an NES game cartridge inserted (Joust). 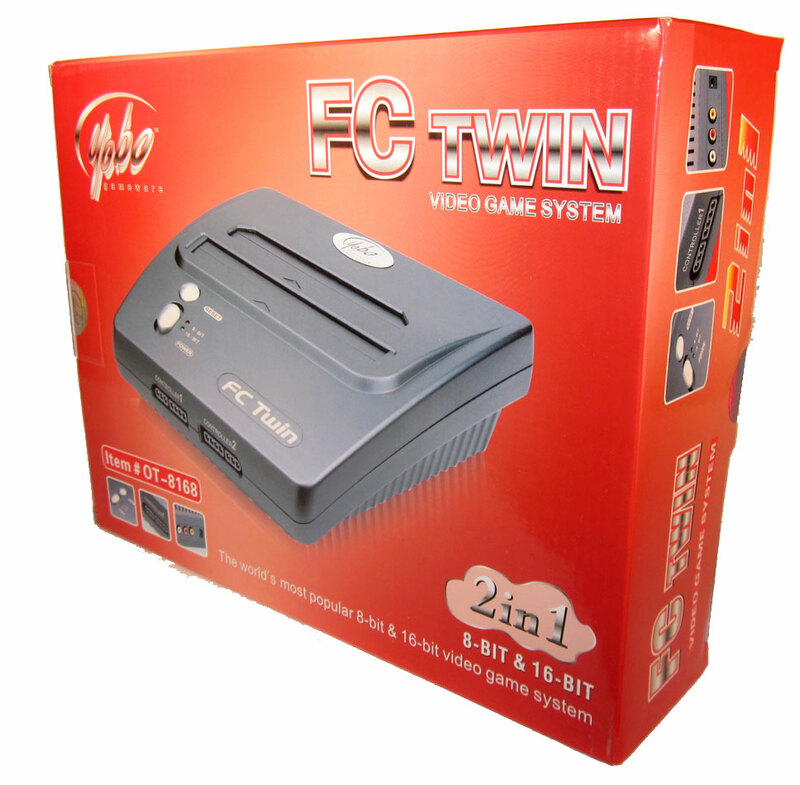 Side view of the FC Twin game console with an NES game cartridge inserted. 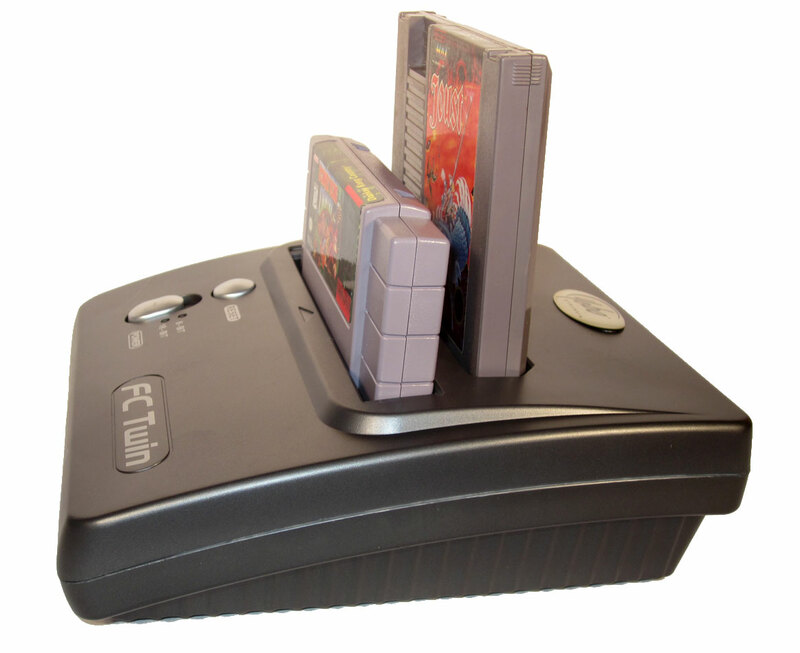 Side view of the FC Twin game console with an SNES game cartridge inserted. 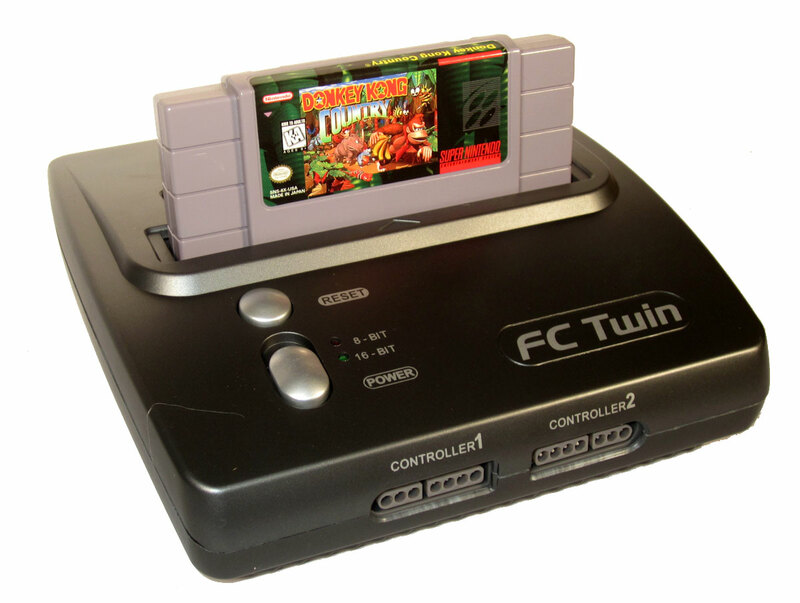 Front view of the FC Twin game console with 2 game cartridges inserted. Obviously you can't play both at once, but this is included for size comparison. 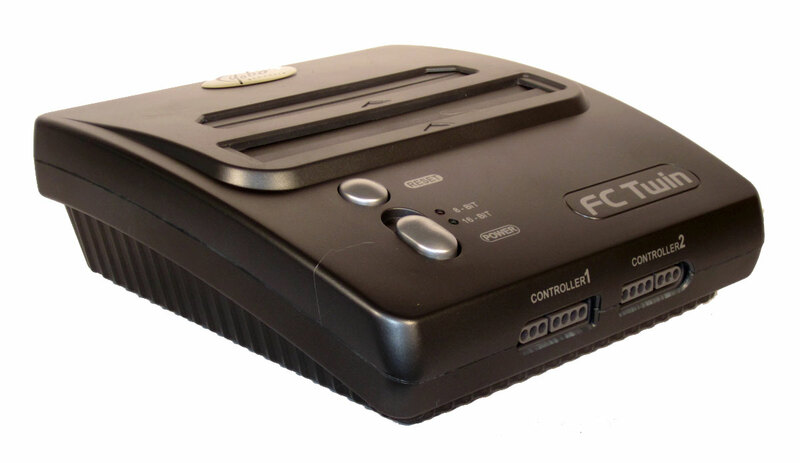 Side view of the FC Twin game console with 2 game cartridges inserted. 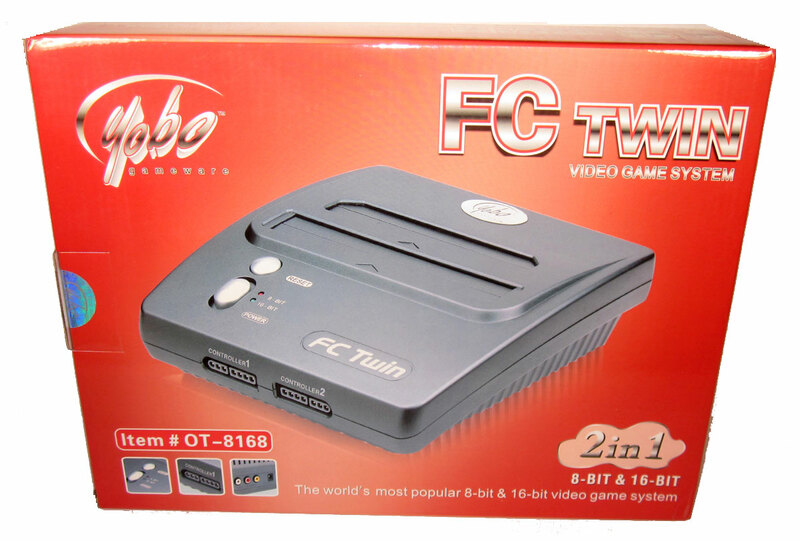 Another side view of the FC Twin game console with 2 game cartridges inserted. 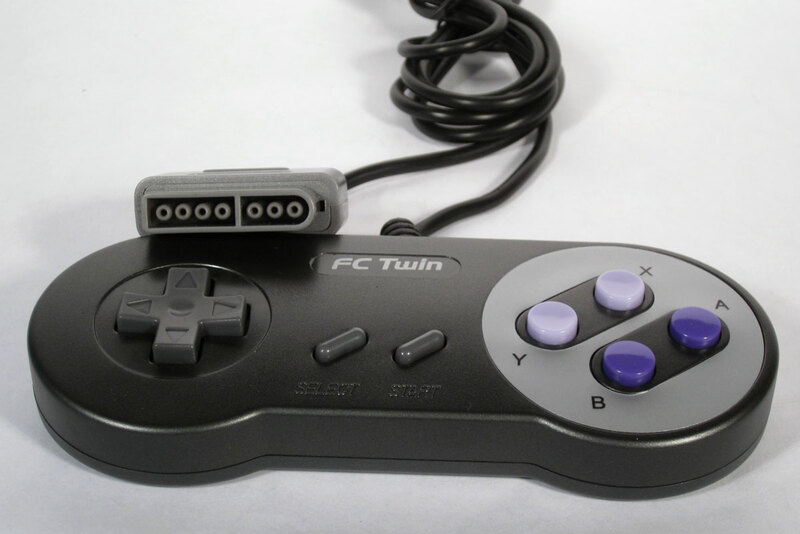 The FC Twin controller is SNES compatible. The FC Twin controller & connection plug. The Super Nintendo controller buttons map to the NES controller inputs: (B maps to Y, A maps to B. A maps to turbo B, X maps to turbo A; L and R serve no function. 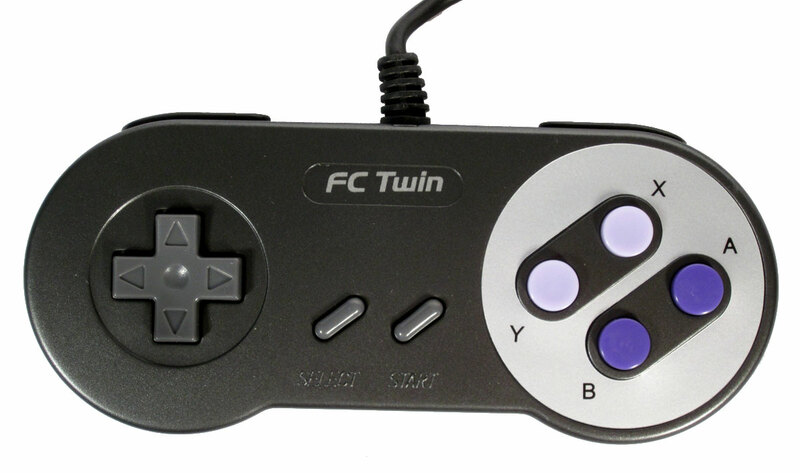 The FC Twin controller showing the shoulder buttons. 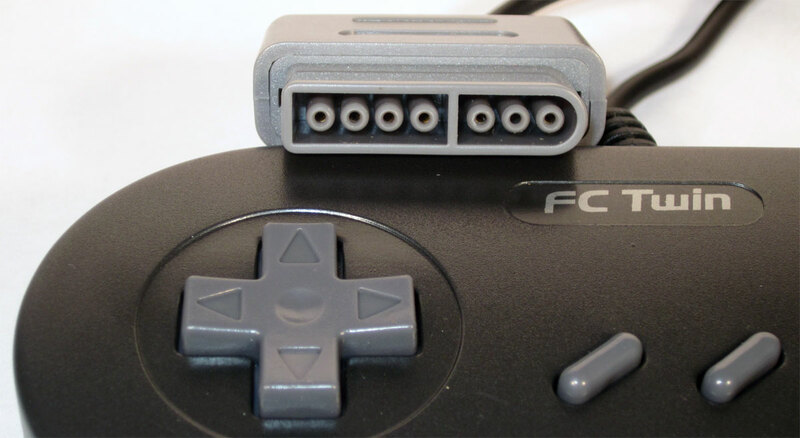 The controller plug on the FC Twin game controller. The rear ports on the FC Twin game console. 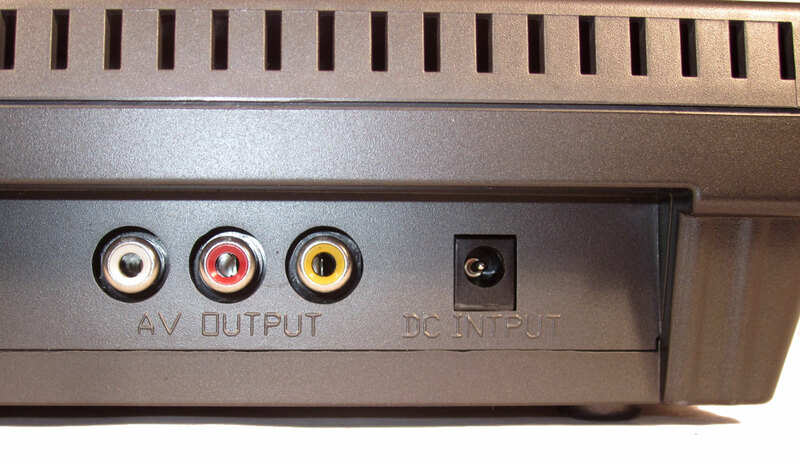 RCA-style L/R Audio & Video connections and the power port.